Ahead of party primaries for the 2019 elections, the Federal Capital Territory Administration (FCTA) has ordered all presidential aspirants and political parties with offices within residential areas and diplomatic zones to vacate such buildings. No fewer than 35 of the 68 registered parties are affected by the directive. The FCTA claimed that the location of the party and campaign offices undermine public safety and jeopardise comfort and conveniences. The affected aspirants and parties have up till August 9 to vacate the offices or have the buildings sealed off. But some of the affected parties and aspirants have condemned the move as ill-timed and sheer intolerance of opposition. The Peoples Democratic Movement (PDM) and Shekarau Campaign Organisation, however, said they would abide by the directive. The politicians affected by the directive include presidential aspirants like ex-Minister Tanimu Kabir Turaki, ex-Governor Ibrahim Shekarau; former Governor of Jigawa State, Mallam Sule Lamido and ex-Minister of Information, Prof. Jerry Gana. The Social Democratic Party (SDP); the All Progressives Grand Alliance (APGA) and the PDM were also affected. According to FCTA records, former Governor Lamido has his campaign secretariat in a diplomatic area in Thaba Tseka Street in British Village, Maitama. Turaki’s campaign office is located at 40, Jimmy Carter Street. Asokoro, which is less than three-minute drive from the Presidential Villa. The SDP secretariat is situated at 9, Yedseram Street, Maitama, within the precincts of some embassies. Shekarau’s office is sited behind the ECOWAS Secretariat at 40, Gnassingbe Eyadema Street in Asokoro ahile the PDM National Secretariat is at 72, Mississippi Street, Maitama; a highbrow enclave with some diplomatic presence. Gana, on his part, operates from a residence in Guzape District. Most of the parties were alleged to be operating from residential buildings in Utako, Zone 6, Asokoro, Garki Area 3 and 11, Gwarimpa Estate and Apo Resettlement, among others. Other affected parties include National Conscience Party (1, Yaounde Street, Wuse Zone 6, Abuja); Unity Party of Nigeria (Block 10, Flat 1, Amasuma Close, Area 2, Section 1, Garki – Abuja); Accord (Plot 488, 7 Yauri Street, Area 3, Garki Abuja); Action Alliance (Plot 1977 Orlu Street, Area 3, Garki, Abuja); All Blending Party (Plot 614, Zone B, Apo Resettlement, Abuja); Alliance for Democracy (4 Aba Close, Area 8, Garki, Abuja); Action Democratic Party (Plot 3379A, Mungo Park Close, Off Jesse Jackson Asokoro New Extension-Abuja); All Grand Alliance Party (Plot 586, David Jemibewon Crescent, Gudu District-Abuja) and All Progressives Grand Alliance(41B Libreville Crescent , Opp. Tulip Press, Aminu Kano Crescent , Wuse 11, Abuja ). Also affected are Better Nigeria Progressive Party (Block 5, Lokoja Street Area 8 Garki Abuja); Hope Democratic Party (Plot 43 Gwarinpa Estate, Abuja); Mega Progressive Peoples Party (1st Avenue, House 53, FHA, Lugbe, Abuja); Nigeria Democratic Congress Party (28 Tunis Street Wuse Zone 6); New Generation Party of Nigeria (No 9B, 61/63 Road, Aliko Dangote Crescent, Gwarinpa-Abuja); Young Progressive Party (Block 10, Flat No. 1 Benue Crescent, Area 1, Garki Abuja); People’s Alliance for National Development & Liberty (9 Abdou Diouf Off Kwame Nkruma St, Asokoro, Abuja, Nigeria) and Progressive Peoples Alliance (Warri Street, off Emeka Anyoku Street, Area 11, Garki, Abuja). The FCTA has also wielded the big stick by putting an end to the conversion of residential buildings to party or campaign offices. The July 9 quit notice was signed by the Coordinator, Abuja Metropolitan Management Council (AMMC), Tpl Umaru Shuaib with a month deadline. The notice said: “The Federal Capital Territory Administration (FCTA) has observed with dismay the proliferation of illegal conversion of buildings located within residential plots and diplomatic zones into political offices. “This inappropriate conversion of residential building into political campaign offices undermines public safety, jeopardise comfort and conveniences. “It also generates nuisance and traffic that threatens the peace of residents of the FCT. “This illegal conversion is repugnant and inconsistent with the extant status, approved Land Use Plan of the Federal Capital City (FCC), which further violates the city’s Master Plan. “The Federal Capital Territory Administration has therefore directed that political campaign offices currently occupying buildings located within residential plots and diplomatic zones should quit such premises and relocate to plots designated by the Abuja Master Plan for such purpose/use. “All concerned entities/ groups are expected to quit the residential buildings they are currently occupying, revert to residential use and ensure compliance within 30 days of this publication. “Similarly, all persons or organizations that deface public facilities with posters and bill boards of all kinds at unauthorized places are warned that they are liable for prosecution. “The concerned entities are hereby urged to be guided and ensure full compliance in order to avoid the relevant sanctions. But while some of the affected parties and aspirants have condemned the move as ill-timed and sheer intolerance of the opposition, Shekarau Campaign Organisation said it would abide by the directive. The Director of Media and Publicity of Tanimu Kabiru Turaki Campaign Organisation, Mr. Sola Atere, described the directive as unfortunate. He said: “There was no prior discussion; neither was there any notification nor letter given to us. Yet, we have been paying statutory bills to Abuja Environmental Protection Board (AEPB) and FCT Water Board and they have been collecting and sending bills since we started using the premises in February this year. “The building was being used for commercial purposes before we came in. We are even neighbours to a federal government agency, Presidential Committee on Flood Relief and Rehabilitation. Why have they neglected to enforce their regulations in places such as Gwarinpa residential estate where houses on major avenues have been converted to malls in many cases? The National Publicity Secretary of SDP, Alfa Mohammed, said: “Such a notice is mischievous and sheer intolerance of the opposition. The FCTA never gave such a directive in the past but why now? “At a critical time when the 2019 poll is about four to five months away, you don’t begin to introduce a policy to drive parties underground. Also, the National Chairman of the Peoples Democratic Movement (PDM), Alh. Bashir Yusuf said: “I think it is a legal directive. The truth is that residential buildings and diplomatic areas are not conducive for political activities. 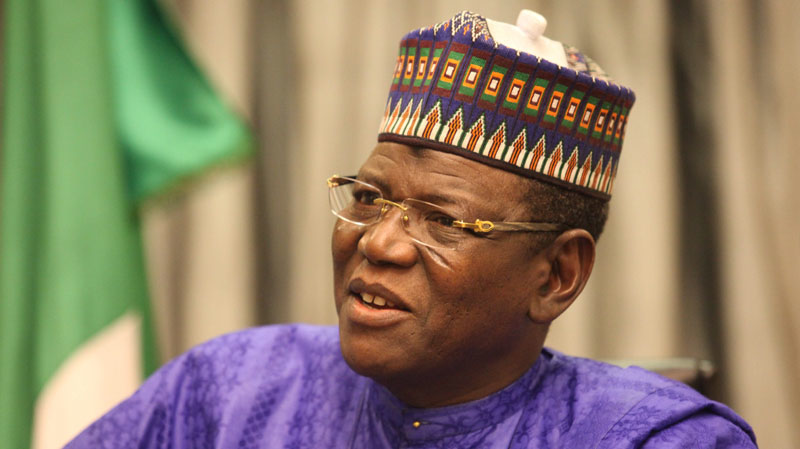 Reactions from Lamido and Gana were being awaited at the time of filing this report.